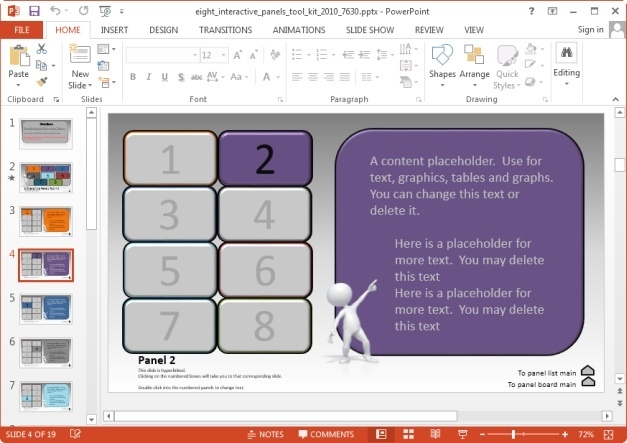 Ever saw presenters switch between slides by clicking on text or numbers from the main slide? 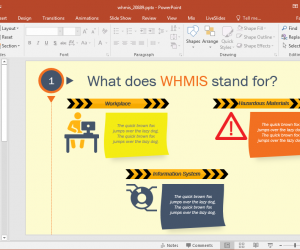 While you too can create interactive PowerPoint presentations by connecting your slides, doing so on your own can be time-consuming and extremely boring. 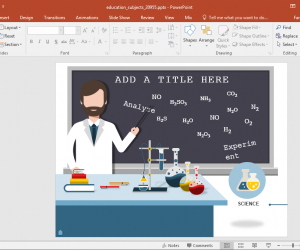 What you can do instead is to use an interactive PowerPoint Template that can help you create interactive presentations with interconnected slides by simply adding text and images. 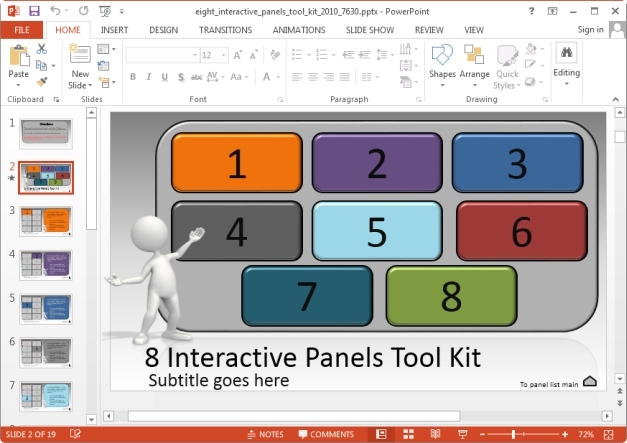 The Eight Interactive Panels Toolkit Template for PowerPoint comes with eight interconnected slides which allow you to switch between topics via a single click, to help you create interactive PowerPoint presentations. You can even rename the numbers with custom text to create professional looking slides and also display relevant text and titles for your presentation sub-topics. 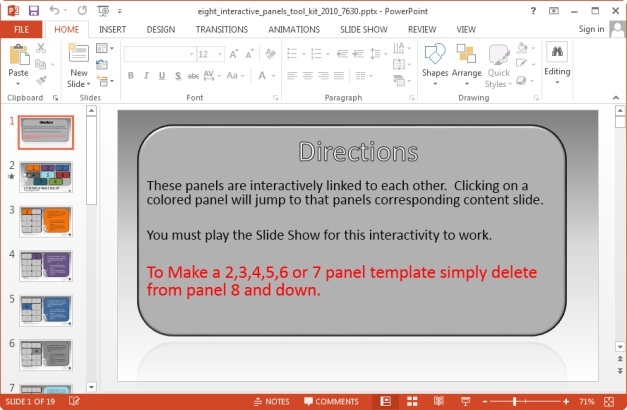 The interconnected slides in this template are not just limited to the main slide, as you can navigate to any of the eight interconnected slides by picking a number from any slide. 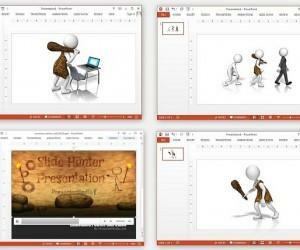 For example, if you are on slide 2 and wish to go to slide 5, click the number 5 to go to it. 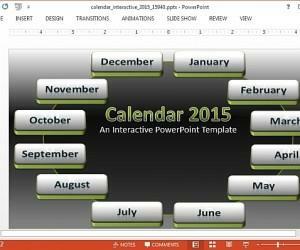 You can also change the numbers to meaningful titles to switch between presentation topics. For example, if you are making a presentation about say, ‘Tablets’, you can name the numbers according to the type of device mentioned on each slide, such as replacing 1 with iPad, 2 with Kindle Fire and so on. In such a case clicking a title (e.g. Kindle Fire) will take you to the slide about the tablet. 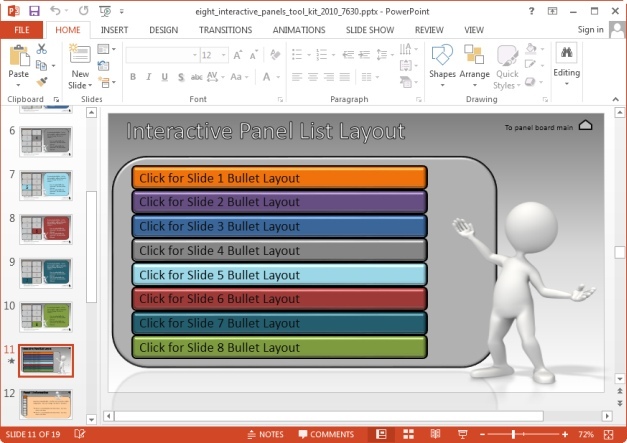 The template features two separate interactive slide sets. You can choose the design that best suits your needs and use it for your presentation. It is worth mentioning here that you can also delete slides to reduce the number of interactive slides for your presentation. 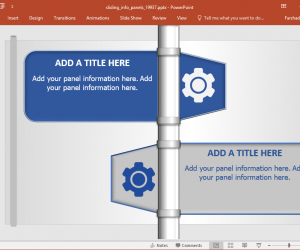 The second design is more like an interactive panel bullet list with eight slides connected with buttons the same way as the first slide set in the template. 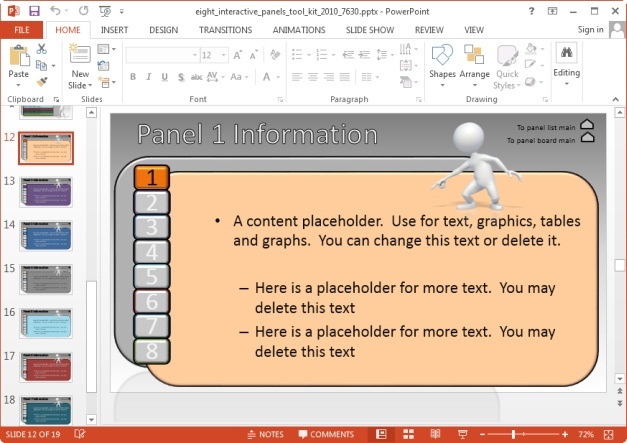 The template provides different handy tips for managing your interactive slides. In fact, the sample text in slides is comprised of customization instructions to guide you through the process of quickly and easily making interactive slides with this template.